Due to the rise of e-commerce, more and more packages are being delivered on a daily basis. Therefore, it is not surprising that old-fashioned mailrooms—often set up in the property’s most hidden spaces—are being replaced by sophisticated package and mail delivery rooms, which are not only more efficient, but might also serve as a space for residents to mingle. Mark Culwell, managing director of multifamily development at Transwestern, revealed to Multi-Housing News how e-commerce led to treating mailrooms as high-end amenities. How did e-commerce change common mailrooms in 2018, in terms of design and functions? Culwell: There are two predominant approaches to mailrooms today. One is the minimalist approach, which considers the mailroom akin to a back-of-house feature that tucks the mailboxes away in an inconspicuous space with little attention to anything other than accessibility. The rationale is that a rapidly increasing amount of mail is electronic and that residents now generally check their mailbox only occasionally. The other approach, often in more expensive buildings, is to enhance the mailroom and to treat it as a social space. That treatment includes elaborate lighting, seating areas, polished finishes and often package lockers. 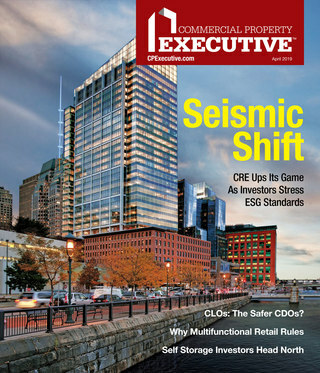 What is the main trend when it comes to setting up mailrooms in new developments? Culwell: Developers approach this feature much as they do with any amenity and that varies with each developer. Swimming pools, fitness centers and gathering places all vary in scale and sophistication from property to property. Sometimes it is dictated by local market practice and preference. In most instances, the mailroom does not receive the same level of attention as the leasing lobby or fitness center. What sort of technologies are needed to implement a secure and efficient mailroom? Are there other features that might change in the coming years? Culwell: Building security has evolved so that the mailroom is accessible only to residents. The U.S. Postal Service also requires certain accessibility features that dictate design features. As technology marches into the future, more space is being dedicated to package delivery and there is a growing demand for some of that storage to be cold-storage for frozen meal packages. What other common-area amenities have changed/ appeared due to the rise of e-commerce? Culwell: There is a growing demand for interior spaces to facilitate collaboration as well as off-site working stations for those who do not always have to report to an office. 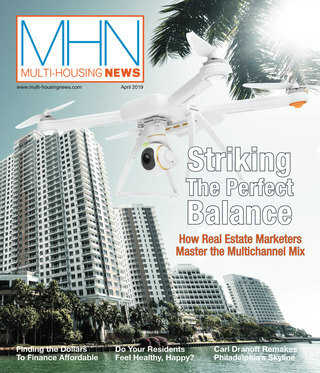 Please name a few major trends in multifamily development. Culwell: Some of these trends include changes in parking requirements and determining the appropriate unit mix for future household formation. Additionally, land entitlements are becoming more difficult to secure, immigration is more significant in determining the level of demand and housing preferences and lastly, affordability issues.